3 Bedroom Detached House For Sale in Northampton for Asking Price £285,000. 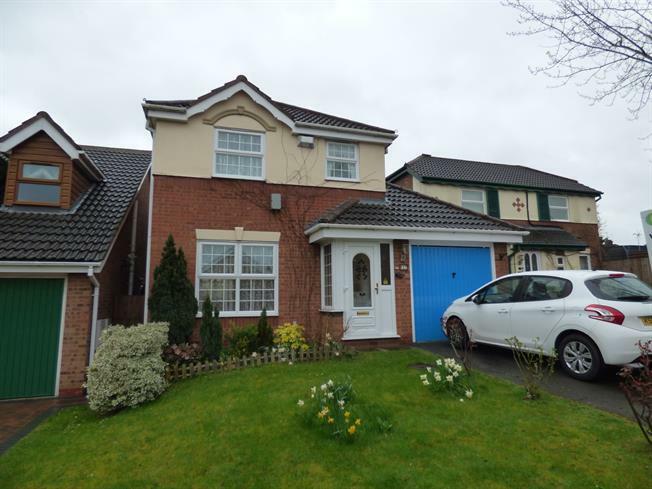 STUNNING DETACHED FAMILY HOME! Located in a quiet cul de sac in the popular area of Sandringham Gardens is this three bedroom detached house. Presented to a lovely standard throughout, the property is set close to a wealth of local amenities and comprises a lounge, a dining room, a kitchen, a utility room and downstairs WC. Upstairs you will find three bedrooms with the master benefitting from an en suite and a bathroom. The property also benefits from gas central heating, UPVC double glazing, a garage with driveway and front and rear gardens.